Siberia -80°C ICE COLD POWER White Portion snus, stronger than extreme at 24 mg/g. 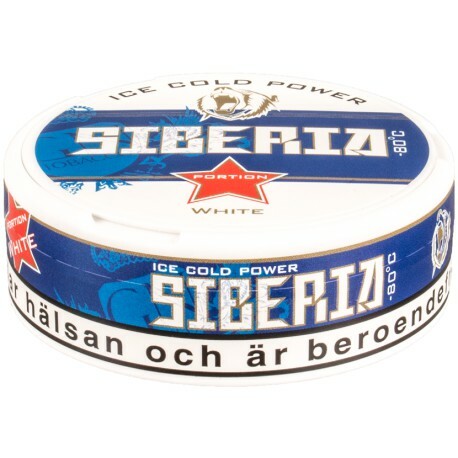 It has a fresh spearmint flavor and a portion weight of about 0.85g, so there's a lot of tobacco in these pouches. Be warned!